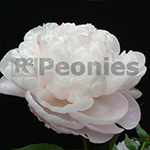 Nick Shaylor is a very strong Peony with dark foliage and large flowers. The buds come with a pink glow. The fragrant flowers bloom in the very late season. With the many side buds Nick Shaylor is a beauty in the garden. For ordering please contact one of us below.